As Brexit dominates British politics, who's running the country? For two years, Britain politicians have been laser-focused on Brexit. Bloomberg reporter Jess Shankleman says that's put a serious dent in their ability to run the country. This week, British Prime Minister Theresa May survived a challenge to her political leadership. Now that she's still in charge, she's back to dealing with Brexit. May's plan to make Brexit happen in an organized way is beset with criticism from across the political spectrum. Since U.K. citizens voted for it in a referendum two years ago, Brexit has been the British Parliament's central focus. That's made it hard for politicians and civil servants to get much else done — and the British Parliament has a lot to do. Jess Shankleman is a Bloomberg Politics reporter who's covered what's gone undone with Brexit dominating the agenda. She told Day 6 host Brent Bambury about the results of this administrative standstill. Here's part of that conversation. You've written that as an administrative entity, the United Kingdom has virtually stopped working. That's a powerful statement. Is it really that dire? In the last couple of weeks, I think it is definitely true. 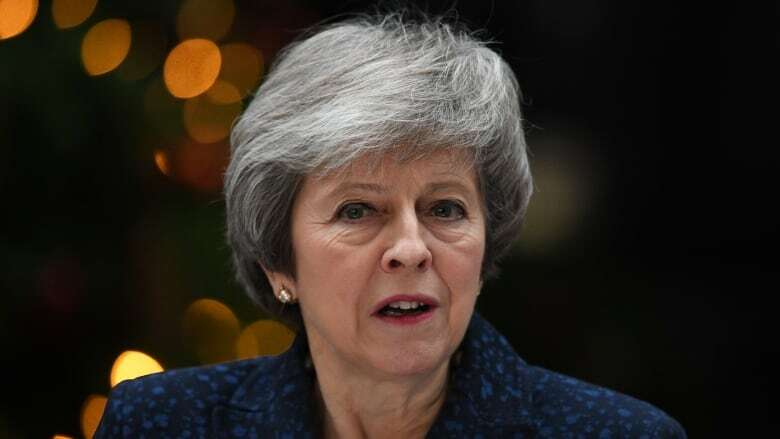 Since Theresa May became prime minister in 2017, 22 ministers have resigned from their posts, a lot of them because they can't support her Brexit deal, some because of other reasons. That means that the ministers who are taking these political decisions are coming in new. Civil servants who are doing work are having to spend time getting their ministers up to speed on everything. That's taking time. And also, traditionally in government, junior ministers get ahead by having good ideas. They'll put them forward and if something progressive or something new gets through, that's how they get promoted. But what we're hearing is these days, we don't have time for that new idea. We're only focused on Brexit, so that's a real problem for the U.K.
You write about the town of Carlisle and this is a town in the north — you say that the fixation on Brexit had a very negative effect on that town. Can you describe that for us? Just before former prime minister David Cameron announced the [Brexit] referendum in the winter of 2015, there were extreme floods that hit that area. And after that, the government pledged money to ensure that parts of Britain that were going to be increasingly affected by flooding as a result of climate change, would have defences and money spent on them to make sure that that kind of thing doesn't happen in that way again. And that money has been raised through insurance companies but it hasn't been spent. It sat in the environment department. People up in Carlisle are really concerned. I spoke to one woman who sold her house. She just moved somewhere that was up a hill so that she's not going to have to go through that again. So it would seem that the consequences of this administrative slowdown would be manifested in the U.K.'s economy. Can you see signs of that? Are there any indications of that happening? One of the biggest issues facing the U.K. economy is its very weak productivity growth. According to the International Monetary Fund, by the time a U.S. worker has done their full five days from Monday to Friday work, a U.K. worker has only done until about Thursday afternoon. That's because we're not investing in machinery and equipment to boost our productivity. It's one of the biggest challenges facing the U.K. economy. Christine Lagarde, the head of the IMF, said if as much effort went into dealing with this issue as opposed to dealing with Brexit, we would have solved the problem by now. You talked about the role of ministers and junior ministers and how they have been encumbered by the Brexit negotiations, but much of the day-to-day administrative work of running a country falls to civil servants. What are they saying about the direction that they're getting — or they're not getting — from Westminster? From civil servants that we've spoken to, they're frustrated because bills they're working on are getting stuck on ministers' tables while Brexit is being debated. They're pushing them under ministers' noses, but there's just no time to get them signed off. And anything that is remotely controversial cannot get through Parliament because Theresa May — as you remember she had that election in June 2017 where she lost her majority — and so because she has such a weak government, anything that's remotely controversial will not get through Parliament. So, it's only very safe policies that are going through. Is there anyone in England lauding the virtual disappearance of politicians? I think there is an argument to be made that less interference from government in policies and regulation could be a good thing because you free up companies to do what they want to do. But when it comes to something like flooding, there are very few people who would say that it's a good thing that the government's not giving this money. That's something that the government is really there to help fund. I can't really see where else that money has to come from. 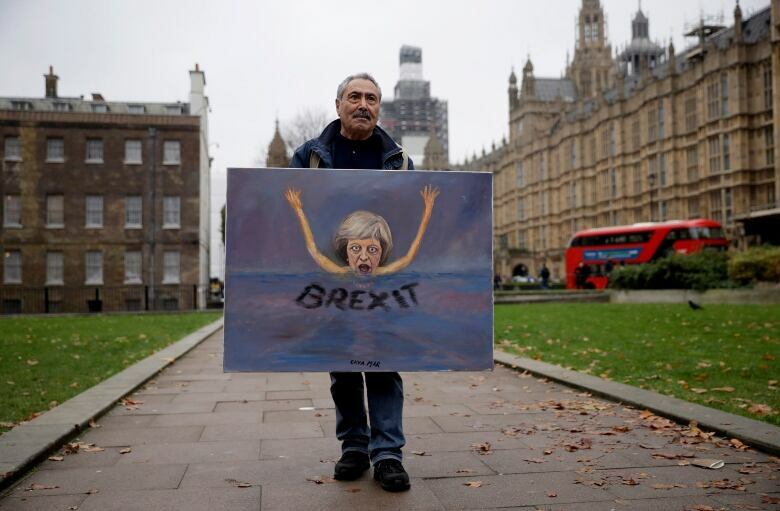 Do Brexit supporters believe that this is all short-term pain and that once Brexit happens, even if it's a no-deal hard Brexit, everything will go back to normal and the government will start functioning again? 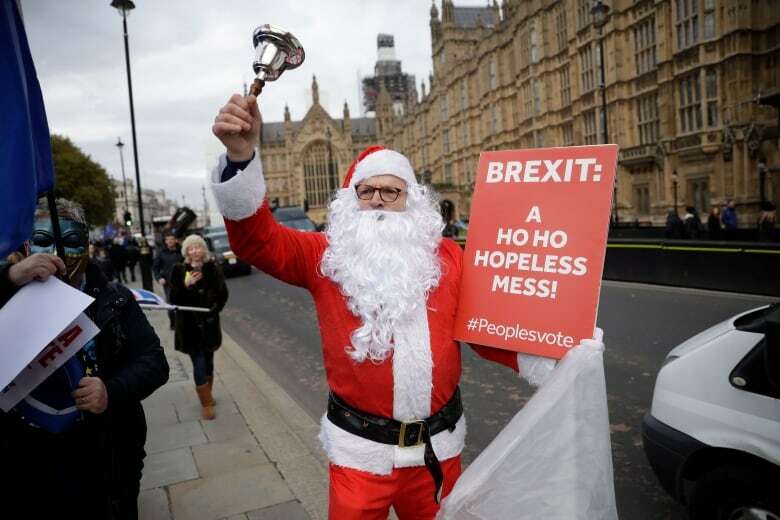 I think everybody hopes that that will happen, because even when Theresa May was having her leadership vote of confidence in her on Wednesday, her ministers were saying: "This is a distraction. We need to get on with the job of delivering Brexit so we can get on with running the country." But at the moment, it's come to a standstill.​ Brexiteers accept that there may be a hit to the economy in the short term and that it's worth it. But this is something different. This is about the functioning of government and making it a better place and many people who voted for Brexit, voted for Brexit because they hoped that it would make Britain a better-functioning country. That's not what we're seeing at the moment. So this is the week that Theresa May survived. Is that a sign that some kind of stability is emerging or does it mean just more stasis? It means that she's going to be able to get on with her job. It means that there can't be another vote of confidence in her leadership for a year. But the opposition Labour Party are threatening a vote of no confidence in the entire government. So while that one hurdle is that the way, there's still a lot of other hurdles that she has to face; lots of other challenges. This interview has been edited for length and clarity. To hear the extended version, download our podcast or click the 'Listen' button at the top of this page. Timeless tracks: 2018 had plenty of big hits, but which ones are built to last?